Each week Bristol Business News gives a prominent member of the city’s business community the last word on its weekly e-bulletin. This week John Courtney, founder and chief executive of Boardroom Advisors, answers our 10 questions. Film you watched? The Favourite. Great fun and I hope Olivia Coleman wins the Oscar. Book you read? I have just re-read 7 Habits of Highly Effective People and my favourite business phrase is “start with the end in mind”. Music you bought/downloaded? Test Match Special music theme. Concert or play you went to? The Who at the NEC. Old, past their best, but still magnificent. Zac Starkey on drums was awesome. Sporting event you attended? England v India one-day cricket international at Bristol last year. The mainly Indian crowd was amazingly passionate. Holiday you went on? I lead a West senior team on cricket tour to Barbados. I had an injured calf so my performances weren’t great, but we managed to win the tournament and the rum was rather effective! Thing that made you laugh out loud? ‘Would I Lie to You?’ which always makes me laugh. Piece of good advice you were given? “Don’t have split energy”. 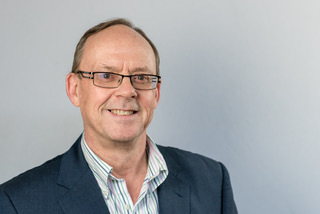 John Courtney is the founder and chief executive of BoardroomAdvisors.co.uk, which supplies ‘real world’ board advisors, mentors and non-executive directors without a recruitment fee to scale-ups and SMSs in Bristol, Bath, Swindon and throughout Southern England. He is a serial entrepreneur who has founded, run and exited seven businesses in the region over the past 40 years in management consultancy, corporate finance and more recently digital marketing. He is highly ranked in the list of Top 100 UK Entrepreneurs collated by City AM and has been a mentor or on the advisory board for many accelerators and incubators including SETsquared, Oracle Startup Cloud Accelerator, Microsoft for ScaleUps, Pitch@Palace etc. John was recently presented with the Lifetime Achievement Award by techSPARK. He is chairman or NED for several early-stage businesses including LUX Rewards. He is a keen cricketer, is an Ashes winner for the England Seniors team, and has recently been appointed as chairman for the national charity Lord’s Taverners in the West.